The contemporary Nigerian society is an era of online financial operations. This 21st century is the era when humans invented online currencies like Bitcoin or BTC. In Bitcoin, there is the principle of P2P, i.e. from person to person and this outlaws banks participation. The management of transactions and the release of bitcoins is carried out on the Internet. Bitсoin has no owner and no controlling body, anyone can use it on their own will. The usage of bitcoins depends on the legislation of respective countries. Since there are no global barriers to the free flow of cryptocurrency and bitcoin still exists, it’s possible to earn good money from it. ◆ Trading on the bitcoin rate. ◆ Bitcoin arbitration between exchanges. This involves the immediate extraction of bitcoins, which is called mining. It is a method of obtaining bitcoin by solving mathematical tasks. 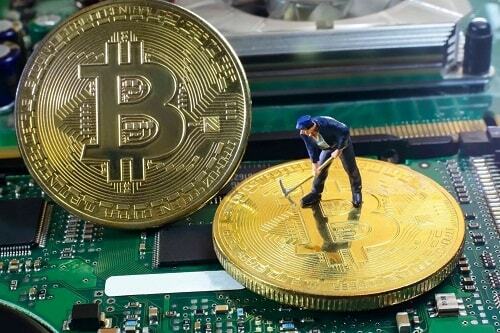 The complexity of bitcoin mining is constantly growing. For example, at the beginning bitcoins were extracted by processors. Nowadays these tools were replaced by video cards with the support of OpenCL and CUDA technologies, which are much faster than x86-compatible processors. In 2011-2012 the cost of one bitcoin did not exceed $20. And in 2013, on average, the price of one BTC was a maximum of $139, and in November 2013 the cost of one bitcoin exceeded $1,100. Today, 1 BTC costs above $15000, and it changes every day so any miner who had kept to his coins would be super rich by now. ◆ Standard mining: Standard way is possible after buying the above-mentioned equipment. ◆ Cloud mining: Cloud mining requires you to rent a remote server with hardware. This is the easiest way. You can register for any reliable exchange. Buy the Bitcoin and you wait for the price of bitcoin to rise, after which you sell the bitcoins that you bought at a higher price. This is the simplest but you have to take into account the direction of the price movement and globally,it is known, the cost of bitcoin will continue to grow. This deals with playing with exchange sites difference in rates. The cost of bitcoin on these exchanges is quite different, so you can buy from one that is low and sell to one that is high and put the difference in your pocket. You can check exchange rates via search services like bestchange.com, that can help you to find exchangers with most profitable rates. Unlike a normal exchange, this kind of strategy is termed "buy and hold." You buy BTC, then just wait, but not a week, and preferably not even a month, but at least six months. With the expectation that the price of bitcoin through these six months will be significantly higher. No matter what method you use, it is always necessary to get fresh information about BTC rates and market tendencies. Don’t save big amounts of money on the exchanges' accounts. No matter what method you use, ensure it is legal or be ready to face the consequences. Is bitcoin business a legit one? You mean legal as in? Bitcoin is business is legit but as with all businesses, it depends on the platform you store and/or exchange your coins. Wayback a Bitcoin storage platform in the US was closed because they had issues with the US. It all depends on you.